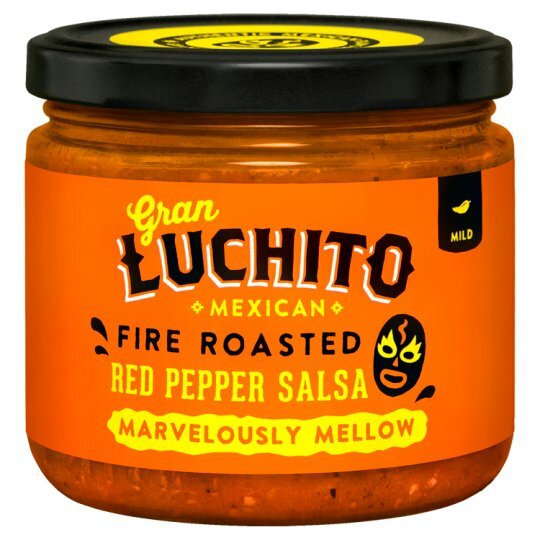 Gran Luchito brings the authentic flavour of Mexican salsa to your table. Handmade in Mexico using traditional recipes and the finest fresh ingredients, these salsas will bring your Mexican feast alive. Try this marvelously mellow red pepper salsa rolled into a burrito or dipped with corn tortilla chips! Once opened keep refrigerated and use within 4 weeks., For best before date see base of jar.